Screenshots/videos of console versions of SA1/SADX were captured using Gamecube and Dreamcast emulators, Dolphin and Demul. For the aspects of the game discussed in the comparisons, these emulators are accurate enough to be usable. When we had doubts about accuracy of the looks of a certain area, we double-checked it on actual hardware. If there is a visible difference caused by emulation inaccuracy, we mention it on the page. 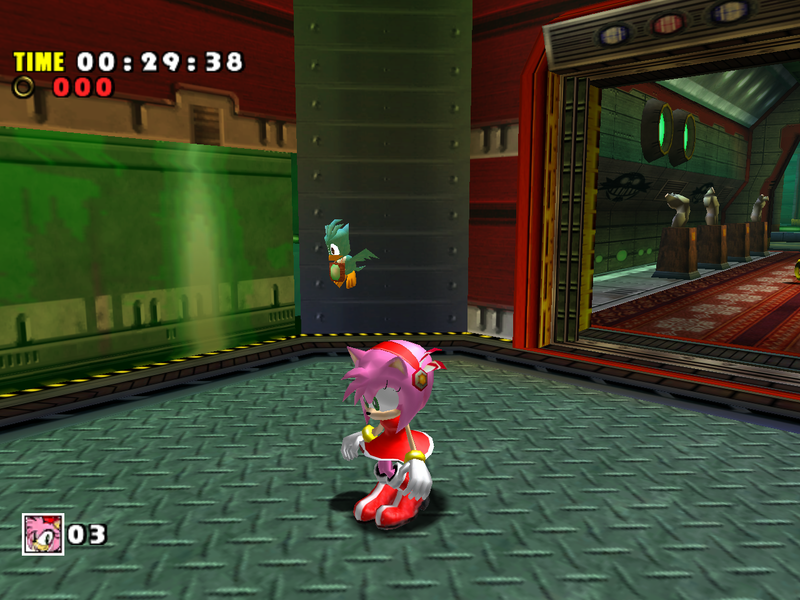 The Dolphin emulator has an option to force per-pixel lighting. This is an enhancement that makes the game look better than on a real Gamecube, but the improvements are not substantial enough to affect the lighting downgrades (vibrancy, palettes, variety etc.) that happened in the Gamecube version. Besides, the game already uses per-pixel lighting for things like character lighting. Here’s an example of what the per-pixel lighting enhancement does on the Gamecube version of SADX: Off and On. The footage of the Gamecube version of the game was captured with this option disabled. For your viewing convenience, most comparisons were done at 1280×960, which is twice as big as the Dreamcast’s native resolution. 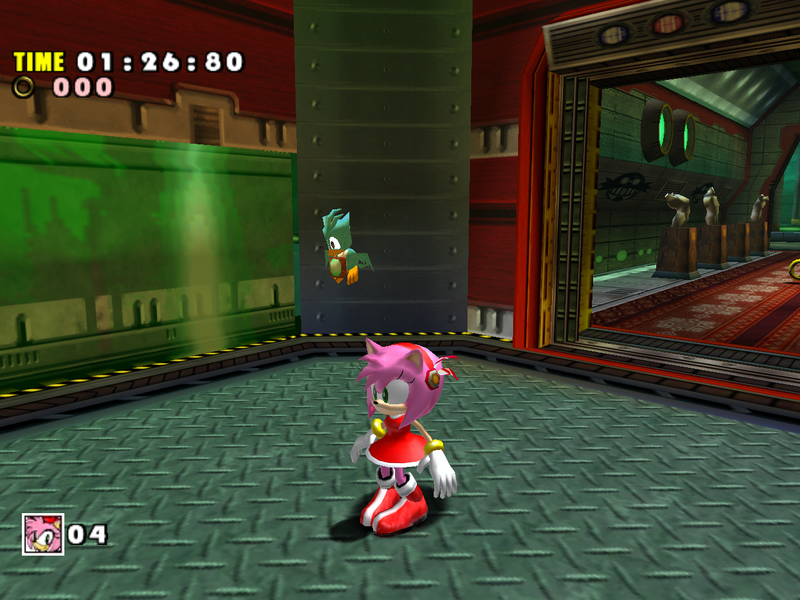 This is an enhancement over the original look of SA1/SADX on the Dreamcast/Gamecube. However, all of the SADX downgrades discussed here are also visible on real hardware at 640×480 even when the consoles are hooked up to a TV. Note that the Gamecube uses a slightly different aspect ratio, so the Gamecube screenshots appear slightly stretched. This does not affect lighting, texture quality, special effects or any other things discussed in the articles. Anisotropic filtering (16x) was used wherever possible. This is an enhancement available in emulators and the PC version, and it isn’t accurate to what the game looks like on a real Dreamcast/Gamecube. Although anisotropic filtering improves texture quality, it can’t add missing mipmaps or fix compression artifacts and mirroring issues discussed in the comparisons. We have also tried to be as consistent as possible, and forced anisotropic filtering 16x in all Gamecube and PC footage. The Dreamcast emulator’s filtering is still slightly sharper, but the issues discussed in the comparisons aren’t affected by it. To put it simply: yes, texture quality degradation in the ports is clearly visible even on real hardware at 640×480 without anisotropic filtering. The PC version used in the comparisons has SADX Mod Loader installed. No mods altering textures, lighting or gameplay were enabled, however the Mod Loader adds mipmaps, enables texture filtering and forces the game to use a 24-bit Z Buffer. All of the above are enhancements over the original 2004 PC release. Since the PC version is always the worst looking in all comparisons, just keep in mind it actually looks even worse than that in the original release. Sometimes a mod to skip the main menu and start the game directly on a certain level (TestSpawn) was used in the PC version. Cheats such as infinite lives were also used. Those do not affect any of the issues discussed in the comparisons.